Editor's Note: This article contains coding information from the 2015 Physician's Current Procedural Terminology (CPT®) Manual. CPT is a registered trademark of the American Medical Association. CPT® five-digit codes, nomenclature, and other data are copyright 2014 American Medical Association. All rights reserved. A new year is almost upon us and with it will come new coding, compliance, and reimbursement changes and challenges. Some are small and will likely have little or no impact. Others promise some degree of chaos, either with processes currently in place or for the third-party payers. As of this writing, the complete authoritative guidance and reimbursement information has not yet been released for the new 2015 procedure codes, but we do have the codes, which provide a good idea of potential questions and concerns. 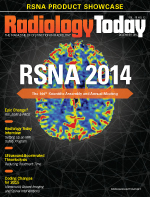 Perhaps the biggest change in radiology coding for 2015 is the area of breast imaging. There are big changes for both breast ultrasound and tomosynthesis. The current breast ultrasound code (76645) has been deleted, and two new codes (76641-76642) have been created, one each for complete and limited exams. Procedure code 76641 represents a complete examination of all four quadrants of the breast and the retroareolar region. The limited code, 76642, is for a focused exam of the breast that is limited to one or more of the elements included in 76641. Both code definitions also include an examination of the axilla, if performed. There is a new note in the CPT® Manual that directs the assignment of the limited extremity code 76882 if only the axilla is evaluated using ultrasound. As with all ultrasound examinations, there must be a thorough evaluation of the anatomic area, image documentation, and a final written report to ensure that it is separately reportable. However, this is generally not an area of concern for radiology practices and/or departments. Additionally, three new codes have been created for digital breast tomosynthesis (DBT) to address both screening and diagnostic studies. The screening DBT code +77063 is an add-on code that will be reported together with the screening mammogram code 77057. In the 2015 Medicare Physician Fee Schedule Final Rule, CMS announced that the codes for diagnostic tomosynthesis (77061 and 77062) will not be valid for Medicare billing. Instead, providers must report diagnostic tomosynthesis to Medicare using a new HCPCS code, +G0279 [Diagnostic digital breast tomosynthesis, unilateral or bilateral (List separately in addition to G0204 or G0206)]. Note that unlike 77061 and 77062, G0279 is an add-on code, meaning that it cannot be reported as a stand-alone service. For those payors that do accept codes 77061 and 77062, these codes may not be reported with the regular screening mammography code 77057. This may create some challenges when appropriately reporting screening and diagnostic studies on the same date of service. It is important to note that while new procedure codes have been created for this technology, there is no guarantee that all payers will provide separate payment. There will be a lot more information regarding the coding and reimbursement of mammography, and specifically DBT, in the coming months so it is important to consider this issue and to stay current with payers. The new comprehensive codes include the lumbar injection as well as the myelogram supervision and interpretation. The existing myelogram imaging codes (72240-72270) have not been deleted for 2015. The ACR had previously noted that these codes would be retained because different physicians perform the injection and the imaging guidance in given situations. If a physician performs the entire procedure, a comprehensive code, and not the component codes, would be submitted. However, there is some concern regarding the performance and reporting of traditional myelography in conjunction with CT studies of the spine. These new codes were discussed in the September 2014 issue of CPT Assistant and specific guidance was provided regarding the reporting of traditional myelography in addition to a CT study. To summarize, myelography should not be reported solely for the documentation of needle placement; a complete procedure with full imaging must be performed and documented, as has previously been the case. However, new clarifying language states that "the supervision and interpretation for myelography should not be reported without the referring physician or other qualified health care professional requesting an X-ray myelogram." Additional information recommended appending modifier 59 to the CT of the spine if it is performed on the same day as a traditional X-ray myelogram. On July 1, 2014, the Centers for Medicare & Medicaid Services implemented Correct Coding Initiative (CCI) edits that bundle the codes for radiographic myelogram supervision and interpretation into the codes for CT of the spine, but not the inverse. For example, a radiographic cervical myelogram (code 72240) is bundled into a contrast CT of the cervical spine (72126). These edits can be bypassed with a modifier; therefore, since the CT scan is the Column 1 code of the CCI code pair, the modifier to the radiographic myelogram code must be applied in order for the myelogram, and not the CT of the spine, to be paid. Revised guidance will likely be forthcoming on this issue so this is another item to watch for in 2015. The existing vertebroplasty codes (22520-22522) have been deleted for 2015, and three new codes have been established. These codes include all imaging guidance, so the supervision and interpretation codes 72291 and 72292 have also been deleted. Instead of codes for thoracic and lumbar vertebroplasty, CPT® now provides codes for cervicothoracic and lumbosacral procedures. All of the vertebroplasty, kyphoplasty, and sacroplasty codes include bone biopsy when performed at the same level. The existing vertebral augmentation (kyphoplasty) codes (22523-22525) have also been deleted, and three new codes have been established. These codes include all imaging guidance associated with the procedure. The Category III sacroplasty codes (0200T-0201T) have been revised to include imaging guidance and bone biopsy (when performed). • Arthrocentesis: The three existing arthrocentesis codes (20600, 20605, 20610) have been revised to specify procedures performed without ultrasound guidance, and three new codes (20604, 20606, 20611) have been added for procedures performed with ultrasound guidance. The Category III code for sacroiliac joint stabilization/arthrodesis (0334T) has been deleted and replaced with a Category I code (27279). • Tumor ablation: The bone tumor ablation code (20982) has been revised to indicate that the procedure is for reduction or eradication of the tumor(s) and includes adjacent soft tissue involved by tumor extension. It also includes imaging guidance when performed. A new code (20983) has also been established for cryoablation of bone tumors, as has a new code for percutaneous cryoablation of liver tumors (47383). • Fenestrated endovascular aortic repair (FEVAR): A new code has been created for physician planning that requires at least 90 minutes for FEVAR (34839). • Scelerotherapy: The code for the treatment of facial spider veins (36469) has been deleted and no replacement code or guidance has been provided. • Carotid and vertebral stents: The codes for transcatheter carotid stent placement (37215-37217) have been revised and a new code (37218) for open or percutaneous antegrade approach treatment of intrathoracic common carotid artery or innominate artery has been added for 2015. • Arterial stent placement: The description of codes 37236-37237 has been revised to indicate that they are not to be used for lower extremity artery stenting for occlusive disease as codes are already available for this purpose. • Vertebral fracture assessment (VFA): The existing VFA code (77082) has been deleted, and two new VFA codes (77085-77086) have been created. Code 77085 is a combination code that includes axial dual-energy X-ray absorptiometry (DXA) as well as VFA, while 77086 represents a stand-alone VFA. The existing codes for axial and appendicular DXA studies (77080, 77081) are not changing and will be used whenever DXA is performed without VFA.